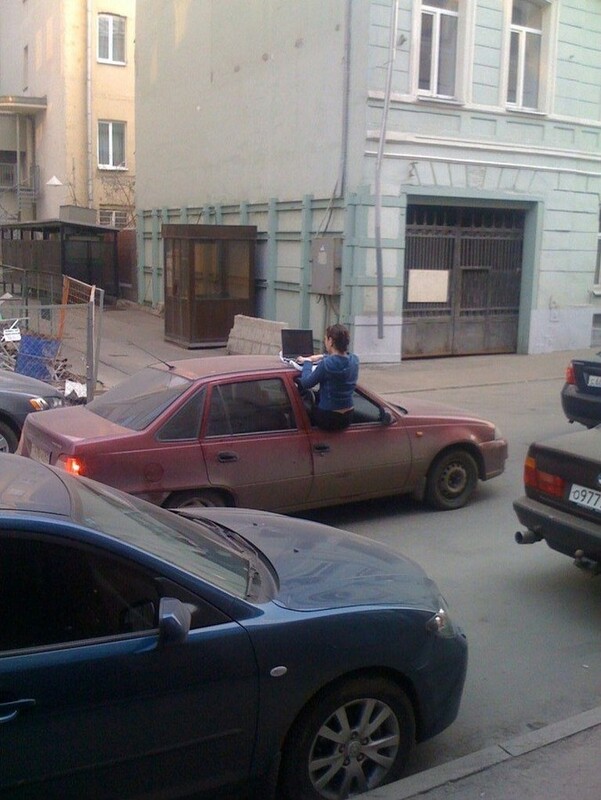 That’s the way to stay connected even when you stuck in the traffic jam in Moscow downtown. There is always some free wifi network around, just, for better coverage, you gotta leave your car a while. via English Russia » Connected.